At West Hove Infant School we closely monitor children’s attainment and progress so that we can provide the best possible opportunities and highest levels of support for all children. We believe that assessment is a continuous process integral to teaching and learning. All assessment activities aim to ensure that children make excellent progress in their learning whilst taking into account the needs of individual children. Prior to a child starting school, as much information is gathered as possible from Nursery/preschool visits or conversations with nurseries/pre-schools and from transition forms where these are available. Parents are asked to complete an ‘About Me’ booklet with their child which they bring to an individual meeting with the class teacher prior to the child starting school. On entry, the child is assessed through observation against the Development Matters statements. Information is collated using ‘Target Tracker’ and ‘On Entry’ data is finalised before half term. During the Reception year, evidence is recorded on the Portal Interactive Learning Diary (ILD) and used to inform judgements for Target Tracker. Target Tracker allows teachers to assess the progress of their pupils regularly, analyse progress and attainment data and find the gaps in learning. This then informs our planning and provision. Further information on the Portal can be found on our Reception tab. Teacher assessments are made each half term against the Development Matters statements. At the end of their Reception year, children are assessed using the statutory Early Years Foundation Stage Profile (EYFSP). Outcomes for pupils are recorded as Emerging (1) Expected (2) or Exceeding (3). Information from the EYFSP is passed onto the Year One teachers. We track pupil progress against the phonic phases from Reception through to the end of Year 2. In June each year all Year 1 pupils sit the national phonics screening check. Pupils who do not achieve the required threshold at the end of Year 1 receive targeted phonics support and repeat the check at the end of Year 2. 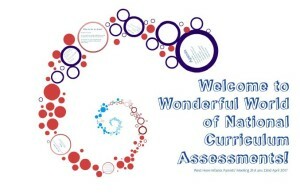 At West Hove Infants, teachers carry out continuous assessment using Target Tracker and the Age-Related-Expectations (ARE) from the 2014 National Curriculum Programs of Study. Every child in each class is assessed in all subjects throughout the year using Target Tracker ‘Steps’ assessments, with six steps representing expected progress across the Year. The ARE path through the school is: YR: 40-60 secure, Y1: 1 secure and Y2: 2 secure. At the end of Year 2 children are assessed against the end of Key Stage performance descriptors (see below) for the 2014 National Curriculum. In Reading, Writing, Maths and Science, these assessments are a secure fit against the Key Stage 1 Assessment Frameworks. Children in Year 2 take statutory tests in Reading and Mathematics, which inform the teacher assessment in these areas. Writing is assessed through teacher assessment against the KS1 Assessment Framework. 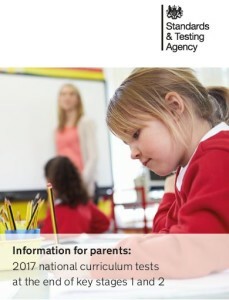 For further information on the KS1 tests, we have put together a presentation. It can be viewed as a Prezi here, or in PDF format by clicking below.